TradeSpoon Reviews and Complaints – Is TradeSpoon Legit? | Are These Products Legitimate? TradeSpoon Reviews and Complaints – Is TradeSpoon Legit? Are you looking for more information about TradeSpoon and whether or not this stocks predictive analytics platform really works? 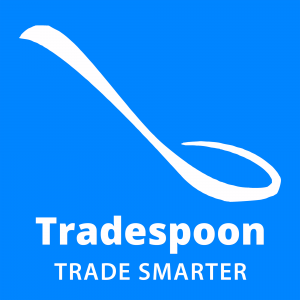 Tradespoon is a bit different from all the other trading intelligence platforms out there on the web. It promises to make any trader smarter by showing them the right tools, the right skills, and the right trading techniques. 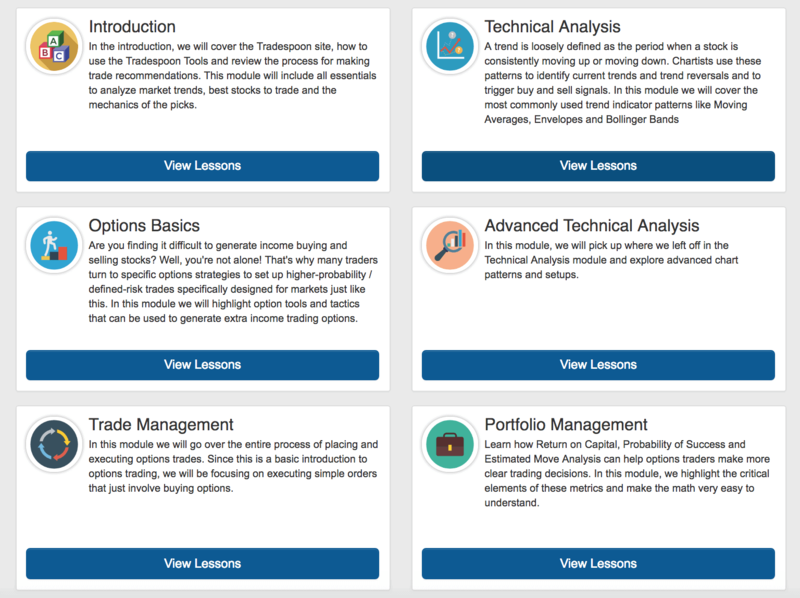 At its core, Tradespoon is an all-in-one program where you can see trade option recommendations and get the training you need to think on your own. One of the most enticing features is that you can learn from the professionals while making good money from the moment you click on Sign Up. What Do You Get By Signing Up With TradeSpoon? Get Started Guide – Your trading journey starts with an introductory primer video that gets you up to speed really fast. Outlined in this guide are the basics and a well-made transition as you learn more about stock trading. Video Training Library – Boasts a collection of training videos that are made for traders of all experiences. Here, members will be able to watch everything from explainer videos to the more complicated trading techniques and advanced skills. Webinar Recordings – Members will have complete access to the webinar archive videos in HD. They can watch these webinars using any compatible device, including smartphones, laptops and tablets any time you want. Live Educational Webinars – Each week Tradespoon subscribers are invited to a live training session or webinar to enhance their trading skills even further. Market Commentary – The Market Commentary is a blog that is updated in a bi-weekly manner. All market tips and stock recommendations are posted here. Case Studies – These are third person videos that show the traders of Tradespoon in action. Smart Trading Guides – Want to boost profit margins on trades? Users can download the PDFs and guides that streamline their trading strategy. Virtual Trading Account – Here, members can get a feel for trading our test out their learned techniques without any monetary risk. Dedicated Support – How would you like to have a live person giving you advice and answering any and all questions you have about trading? The live support from Tradespoon’s staff is excellent and available 24/7. Daily Trade Picks – Get a list of pre-made trade buy and sell recommendations. The Trading Block – Tradespoon’s trading pick service that you can rely on when you need to do real trades. The Trading Block provides a full trading experience that begins when you choose the options up until the point where your trade is executed. Tradespoon is not Tradespoon without its main engine, nicknamed the Trade Intelligence Platform. Here, you will have the ability to make smarter trades and a slew of other trading-related actions. The Bulls and Bears At Tradespoon – Traders get a ready-made list of all underperforming and overperforming stocks for the week. The Seasonal Charts – Members get stock performances laid out in an easy-to-read graph format for trade option references. The Probability Calculator – Here, members can check if there’s a solid indication that a specific stock is worth investing in via specified price targets. Active Investor – The same as Active Trader made for members who want to do swing trading without the work or effort. Active Trader – Somewhat acts as a cheat sheet for members who just want to get in on the action without wasting hours on speculation. Stock Forecast Toolbox – Includes essential trading tools like the portfolio manager, a profit calculator, a company screener and a stock forecast tool. 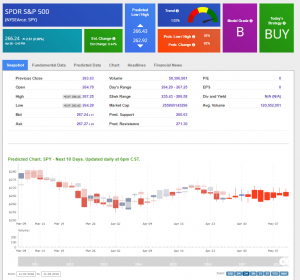 Forex Forecast Tool – Gives members in-depth analyses of different stock trades in Forex. Trade Idea Tool – Here members can draw up personalized predictions depending on the criteria they set. Expert Option and Stock Picks – Provides an complete list of stock trading options depending on directions and both entry and exit prices. Stock Focus List – Members get a list of liquid stocks, complete with probability calculation reports, a detailed research report and seasonal charts. Proprietary Equity Research – Get fully-detailed analysis reports coming from Thomson Reuters. Portfolio Toolbox – Manage members’ portfolio straight inside the Tradespoon platform. It includes analysis and optimization along with management functions. Trading Block – Members can start trading with preferred options and save up on commission rates. Think of the Video Training Vault as a library that has everything you need to know about trading and making smarter trade decisions. The content in the Training Vault is divided into various sections ranging from beginner to advanced. It’s a helpful resource that has almost every kind of topic that traders need to know about. Videos are the popular format for content delivery, which means members can readily view it on any smartphone, tablet or laptop computer. The Free Training Guide is a no-cost sample of the trade topics members wish to watch without having to wade through content that they already know. Needless to say, they won’t need to go back and forth between different training software to start learning the ins and outs of successful stock trading. This section includes research tools, screeners, tech analyses, and strategies. The success of TradeSpoon has given rise to many frauds who try to sell their own fake programs in its name. This is a big issue as many customers have lost their money in buying from such fake sites. It is advised that customers should be really careful when they are purchasing and should do some research before they buy from any website. To spot these, watch out and avoid sites that claim to write about TradeSpoon, yet the write-up is completely garbage as they are created by software and spammed all over the internet, or offering fake discounts. It is always better to avoid buying from any other site other than the official one. Therefore, it is highly advised that consumers do careful research, or only buy from the site from the official website here – http://TradeSpoonOfficial.com/ (link opens in a new window). The official website that they have includes the legitimate program. All members can test it out for a free trial and stay for the invaluable stock trading content. If increasing your chances of earning profits on stocks with the latest quant tools is what interests you,, then we highly recommend you to learn more about TradeSpoon at the button link below! Previous PostPrevious Profit365 Review – Is Profit365 Legit? Next PostNext WebinarJam Review – Is WebinarJam Legit?